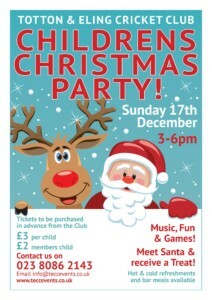 Come along and join in the fun at our annual Children’s Christmas Party! Music – Fun – Games – Tombola – Christmas Raffle and a visit from a very special guest! (£3.00 includes a gift from Santa).